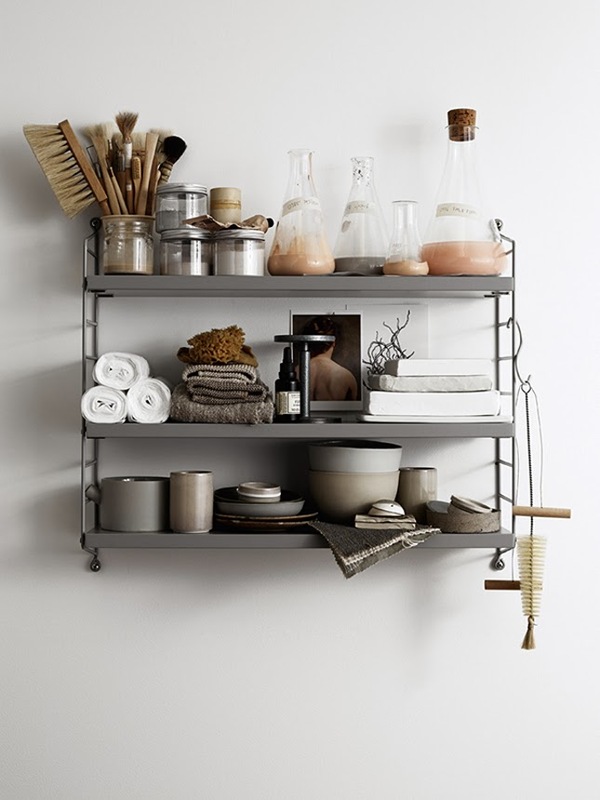 If you've ever hung up shelfs, you'd know that the styling of what's ón the shelf is the fun part but also the hard part. (unless there out of plain view :). If it's not right, I can't take my eyes of the shelf until I know how to fix it. One time I even took drastic measures: I got rid of the old shelf and put up a whole different one. Styling problem fixed too, because of the whole new look. 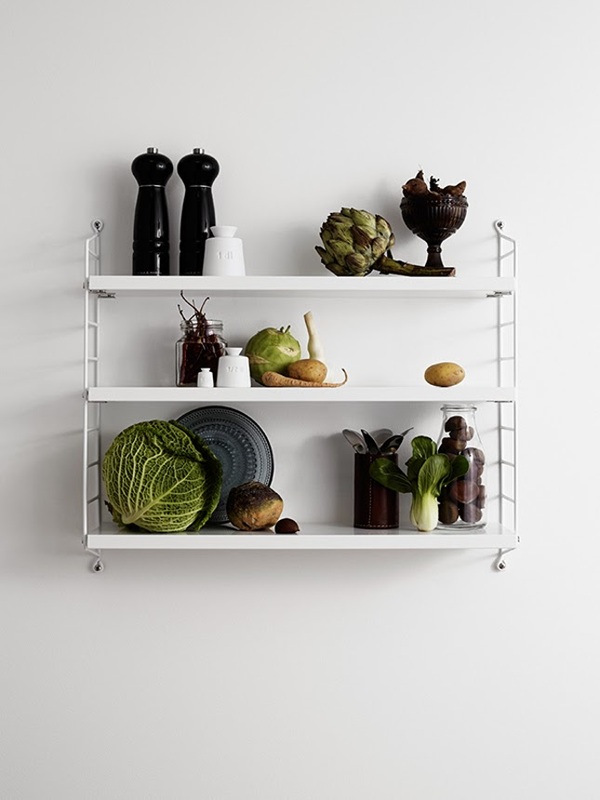 Lotta Agaton gave 22 students at the Beckmans College of Design in Stockholm the assignment to style a String pocket. Fun and inspiring. Here are my two favorites. Get a view of the other ones here.